Emmy Winning actress Carolyn Hennesy commissioned Ivey Abitz Couture for one-of-a-kind ensembles to wear whilst hosting Emmys Red Carpet broadcasts. Click the dresses below for details, photos, and video of each gown in studio and on the red carpet. 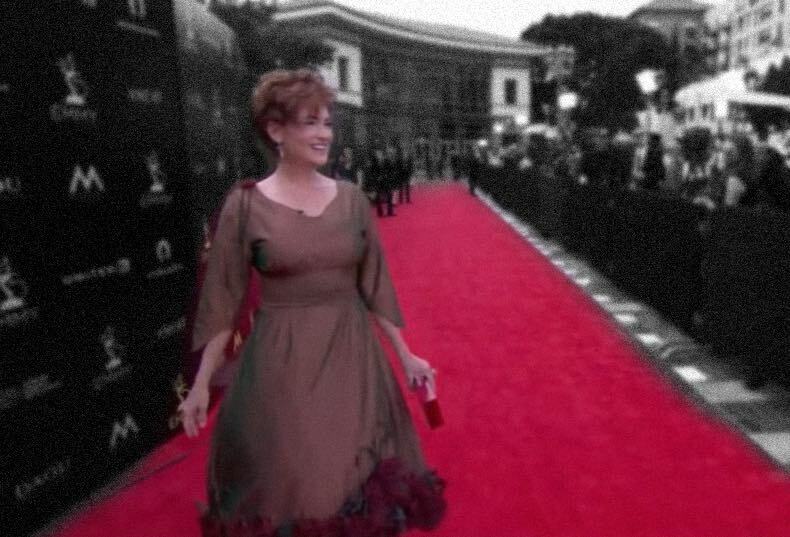 Emmy winner Carolyn Hennesy wore two gowns made by Ivey Abitz as she hosted the 45th Daytime Emmys Red Carpet and Creative Arts Red Carpet shows. 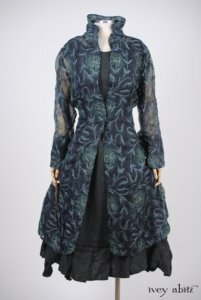 Carolyn is no stranger to Ivey Abitz bespoke clothing. 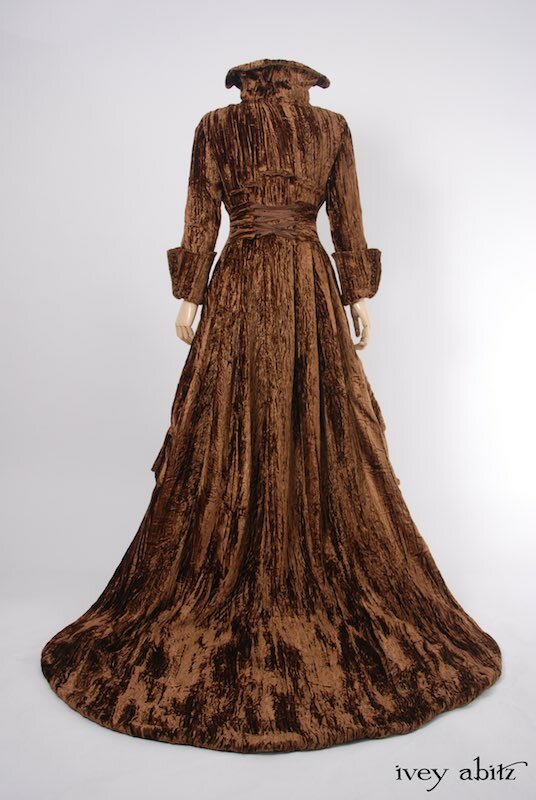 It is part of her everyday wardrobe, including for professional appearances like interviews and red carpet events. 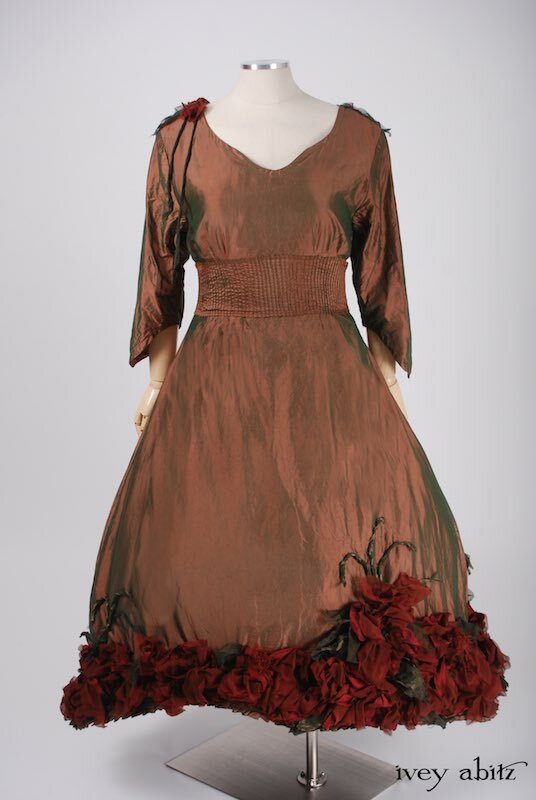 In fact, Carolyn is so at home in Ivey Abitz bespoke, she has even worn it in performances. One of the jackets in Carolyn’s wardrobe is from the Spring Collection, Look No. 3. Carolyn also chose Ivey Abitz bespoke ensembles to wear at the less formal events surrounding the Emmys, like luncheons and receptions. For those events, she chose from the Spring 2018 Look Book, as can you. Ivey Abitz spent weeks creating very special gowns for Carolyn’s hosting roles. You can get a glimpse of some of the work behind the scenes creating dresses for the Emmys. The Daytime Emmy Award Red Carpet shows were streamed live April 27-29, 2018, over multiple social media and web based outlets, bringing Ivey Abitz bespoke clothing to its largest audience ever. We hope you had a chance to share in the excitement of watching Ivey Abitz debut on the Emmys red carpet. If you missed it, check out the red carpet video in the gallery for the Creative Emmys. Visit our Daytime Emmys gallery for videos of the Red Carpet Show hosted by Carolyn Hennesy; the Emmys Awards Show, in which Carolyn presents an award with Larry King; and the Emmys Post Show, again hosted by Carolyn. Thanks to Carolyn for embodying the Ivey Abitz aesthetic, and most of all for being herself. No one does Carolyn like Carolyn. We hope wearing Ivey Abitz on the red carpet helped everyone get a true glimpse of the authentically gracious Carolyn Hennesy.